We are constantly developing our website, so it is possible that the page you are looking for is temporarily unavailable. You can use the main navigation of our website to get the information you need. 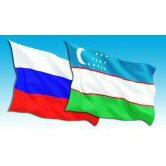 24.04.2019 | On April 24, Moscow hosted the 20th meeting of the Intergovernmental Commission on Economic Cooperation between the Russian Federation and the Republic of Uzbekistan. 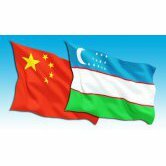 23.04.2019 | President of the Republic of Uzbekistan Shavkat Mirziyoyev is to visit China on 24-27 April at the invitation of PRC President Xi Jinping to take part in the events of the second International Forum “One Belt, One Road”. 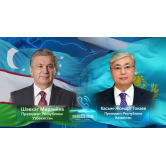 23.04.2019 | President of the Republic of Uzbekistan Shavkat Mirziyoyev spoke with President of the Republic of Kazakhstan Kassym-Jomart Tokayev over the phone on April 23.